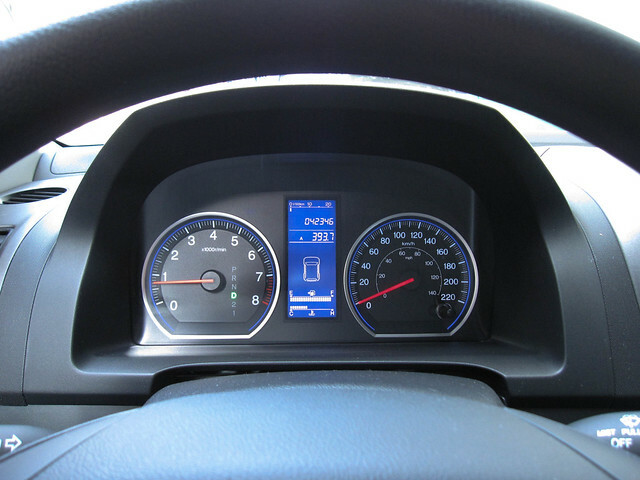 I’m a long-time fan of car sharing programs. When my husband and I first moved to Vancouver from Europe, we joined CAN (now called Modo) car co-op. We saved enough money in those first few years to buy a car (to share). 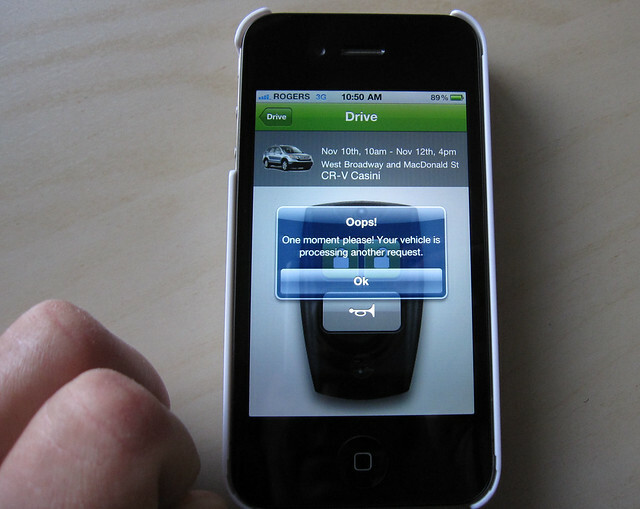 Since then, a few companies have entered the market, most notably, Zipcar and Car2Go, both available in Vancouver. When Zipcar generously offered to provide me with a vehicle to drive up to Whistler for the Cornucopia Wine Festival, I was happy to oblige. 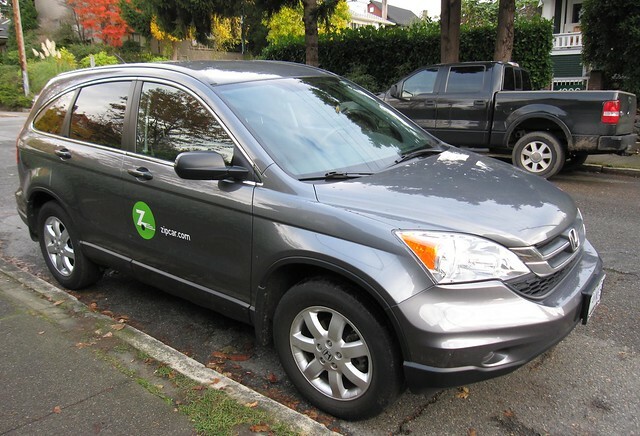 Normally, car share programs are best suited for short hauls around Vancouver and environs. The classic “Saturday at IKEA” or big grocery shopping at Costco comes to mind (and we’d done both several times with CAN over the years). 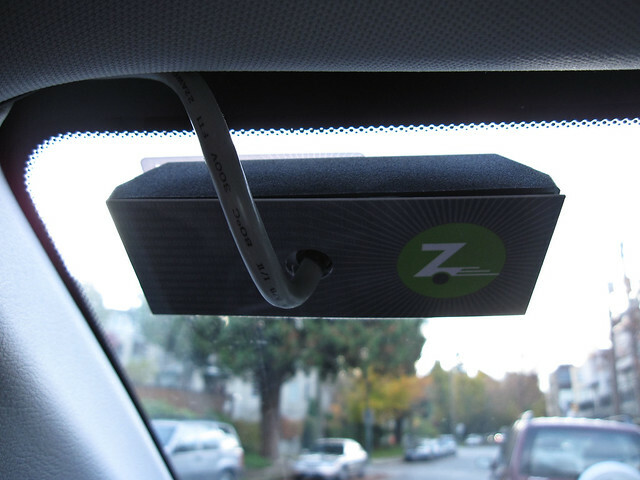 Zipcar is the only car share company that’s expanding to include long weekend trips to destinations such as Whistler, something just out of reach of the short-term car share programs. The all-wheel drive vehicles will be perfect for bringing up friends (and splitting the cost) during the winter ski months, or gearing up for a long weekend in any season for that matter. Once I’d reserved the car, an estimate showed up on my iPhone ($297.36, which was the final amount upon returning the vehicle), along with the time (in my case, dates and times) I’d reserved it for. I picked up Casini (all Zipcars in the fleet are named!) at a convenient location in my neighbourhood. Meet Casini. He’s a 2010 Honda CRV in a fashionable dark grey. 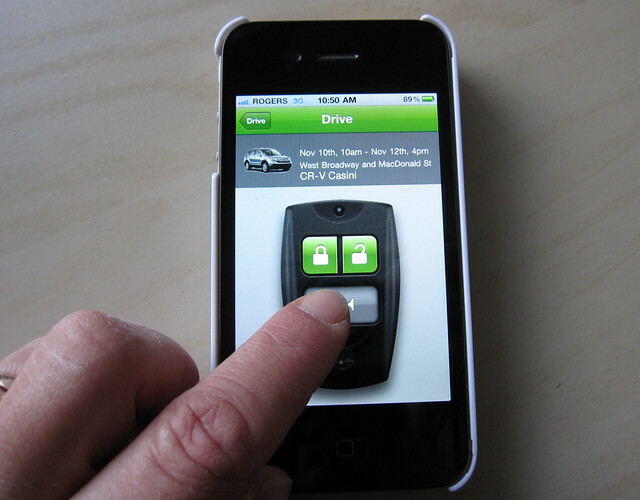 Using a Zipcar is pretty basic (and even easier if you have a smart phone, as “there’s an app for that”). 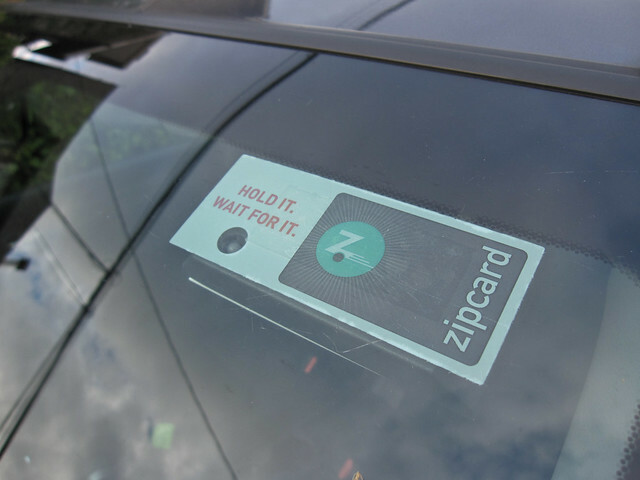 As a Zipster (Zipcar member), you’re given a credit card type membership card, that when waved across the front windshield electronic system, unlocks the car you’ve reserved. Once in, there’s the key. 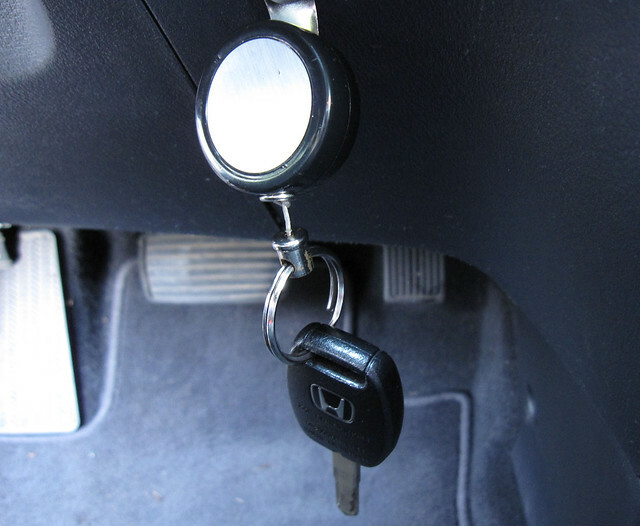 You’ll never lose it as it’s tethered to a retractable cable, attached to the car’s dashboard. I did a quick inspection for damage, and saw a long scratch on the passenger and back door. Using my phone, I simply called the number on the back of the membership card to report it. Moments later, an email came back to confirm. Checking that the fuel level was at least 1/4 or more, I started the car and headed off to Whistler. 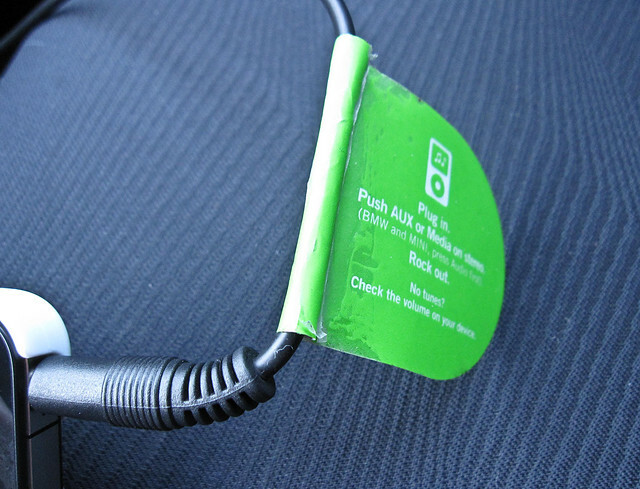 Another handy feature of Zipcars is an included stereo cable that attaches to an iPod or iPhone. I had two iThings with me on my trip: an iPod Nano (3rd gen) and an iPhone4. I did notice that with an older model iPod connected to the stereo, the volume isn’t able to go too high. Once you’re on the road, it’s barely audible. Once I switched to the (newer) iPhone4, the problem was gone. 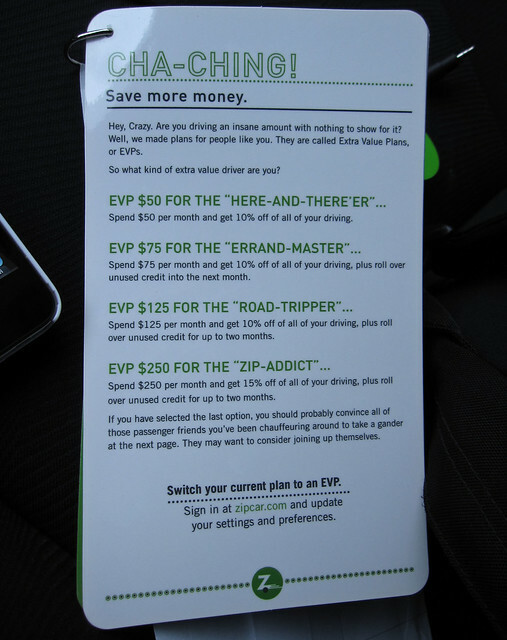 The Zipcar app is fun to use. 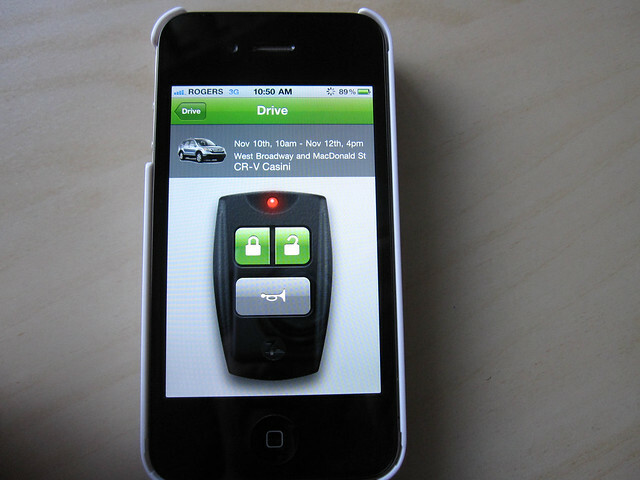 The screens will show your reservation, locations of available Zipcars in your area, an option to extend your reservation should you run late, and the really fun part: unlocking, locking, and beeping the car (to relocate it in a large parking lot, for instance), all from the phone! 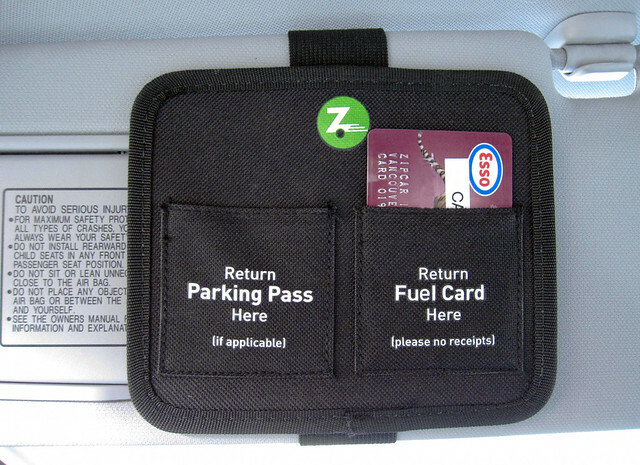 All Zipcars are equipped with an ESSO gas card, located in the sun visor compartment. You’re asked to return the car with at least 1/4 tank of gas. Knowing a few ESSO stations in town ahead of time is helpful. I did wind up adding a bit of gas at the Burrard and Davie Street location, just for good measure. And to test that it does go smoothly, which it did, once I knew to type in both the customer ID (on the card) and the odometer reading before the credit card terminal would accept payment. 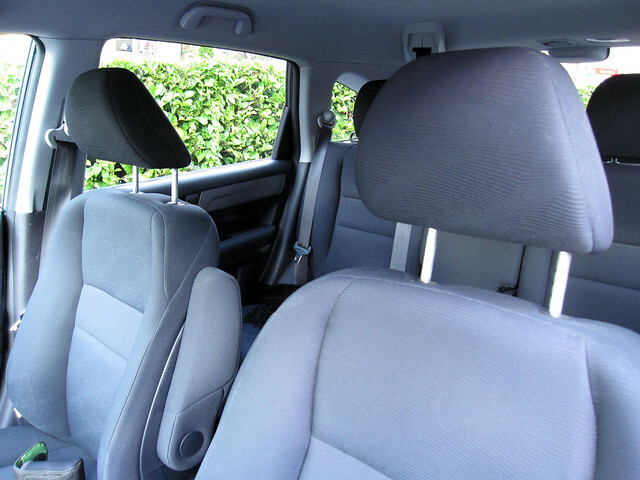 I was very pleased with the cleanliness and condition of the car as well as ease of use through both the iPhone app and the membership card for opening and locking the car. By the time Casini and I had logged on nearly 250 kilometres this weekend, I felt like we’d already bonded. It was hard to leave him behind, but I know I’ll always be able to use him again when I need a “second” set of wheels in the future. 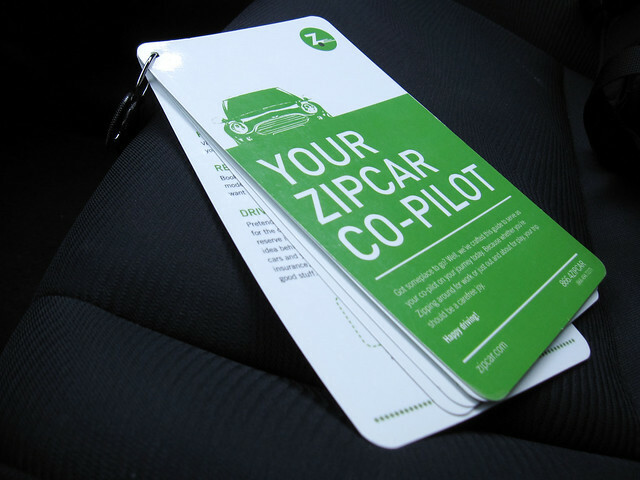 Zipcar is starting a new Twitter promotion. As of December 1, if you tweet a photo of yourself and your crew on a Ziptrip to Whistler, @Zipcarvancouver will throw in a $30 driving credit. I was provided a Zipcar for road-testing and for taking up to Whistler for the Cornucopia Wine Festival. Is that price $297.36 round trip? Or is it one way to Whistler?